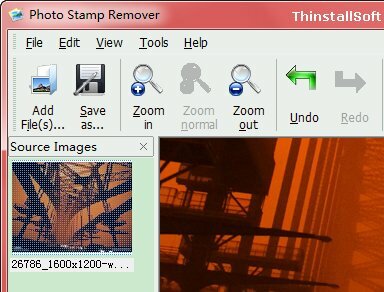 Photo Stamp Remover is a simple tool to remove watermark from a picture easily. To remove watermarks, date stamps, scratches, dust, stains, wrinkles, tears and other unwanted artifacts on photos, just import them into Photo Stamp Remover, use Free-form Select or Select tool to define the unwanted area, then click on the Remove or Quick Remove button to start. In addition, you could also specify the stam color from the selection to remove. This entry was posted in Photo & Graphic and tagged logo remover, photo stamp remover, photo tool, watermark, watermark remover. Bookmark the permalink.